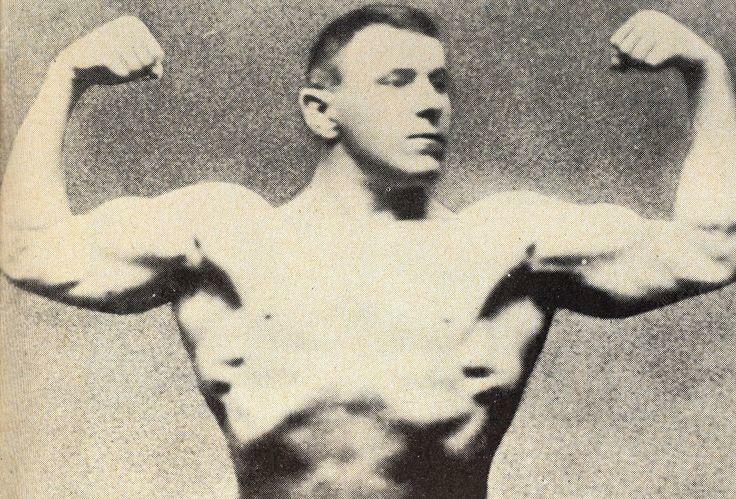 George Hackenschmidt, the ultimate poster boy of the golden age of wrestling, made the sport popular in England and on every continent of the world. He was born in Tartu on 1 August 1877 – while Tartu was still Dorpat, a town in the Russian Empire. Having launched his career in St Petersburg, Hackenschmidt lived in London, and became one of the superstars of the early 20th century. Postcards and cabinet cards with his images were collected by fans of all ages, both male and female. One may freely compare Hackenschmidt to David Beckham, and no doubt, the popularity of wrestling of the time came close to the popularity of football today. When Hackenschmidt, nicknamed the Russian Lion, wrestled with Ahmed Madrali, called the Terrible Turk, at the Olympia London in 1904, the hall was packed to the limits and traffic jammed from the site back to Piccadilly. Alas, as our hero was not a natural showman to stir up the passions that were boiling anyway, the contest lasted only about two minutes. He won. Moreover, in his entire career, Hackenschmidt engaged in about 3,000 matches, losing only two. Georg Karl Julius Hackenschmidt was born in Tartu (Dorpat). His parents were Baltic German Georg Friedrich Hackenschmidt and Estonian Swede Ida Louise Johansson. Since his earliest childhood, he was immersed in the cosmopolitan atmosphere created by his parents and their friends – the two “official family languages” were German and Estonian. Gradually, this paved the way for him to master seven languages and become an excellent conversationalist. In 1895, Jüri (as he was called among his Estonian friends) finished the Realschule (Grammar School) of Dorpat. On top of academic achievements, his feats of strength were astounding for both, his teachers and friends. He had become a natural leader of a pack of boys, many of them older than himself. However, soon it was clear that he was far too good-natured to accept fighting as a method of solving conflicts among mates. Jüri had become a young man promoting wrestling and physical development in order to become the strongest. Romantically, he enjoyed having wrestling competitions in the beautiful meadows bordering the Emajõgi – the river that had not lost its magic by the time this writer enjoyed going to the river swimming pool. On leaving school, Hackenschmidt went to work for the Lausmann factory, a large engineering company in the city of Tallinn – then known as Reval. He became an apprentice with an intention to become an engineer. But, “man proposes, God disposes”, as he sighs about his rather short working period in Tallinn in his book, “The Way to Live”, that was first published in 1908 and is still in print. He has written about his life changing decision to leave for St Petersburg as follows: “The doctor (Krajewski) had, of course, visited our club (the city’s Athletic and Cycling Club – editor) and recognised me at once. When I had completely undressed in order to facilitate a careful examination of my injury, he, in conjunction with my own doctor, examined my body, and found that with the exception of a slight injury (a contusion of the arm) I was perfectly sound. Years later, Hackenschmidt admitted that Krajewski became almost his second father. In England, his performance was polished by the flamboyant C.B. Cochran (Sir Charles Blake Cochran, an English theatrical manager and impresario – editor), who made the Russian Lion a major showstopper. As a team, the two prompted a wrestling boom in music halls. The evenings that Hackenschmidt defeated five men in a row were not exceptional. 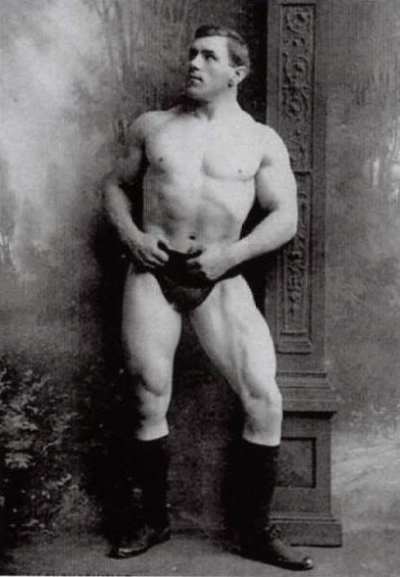 By the turn of the century, Hackenschmidt had become a phenomenal weightlifter, who had established several world records; he had also become the champion of Russia and Finland in wrestling and won championships in the United Kingdom, North America and Australia. The Russian Lion had become the first free-style heavyweight champion of the world and continued winning tournaments everywhere he wrestled. He remained undefeated until he faced Frank Gotch in 1908. 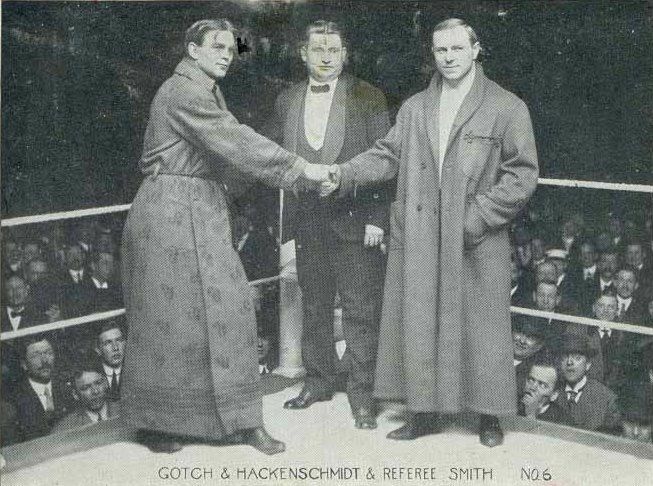 The Gotch-Hackenschmidt matches in wrestling have become a legend comparable to the Ali-Frazier matches in boxing. On the one hand, Gotch was criticised for having used unfair tactics, on the other hand, Hack (as called by Americans) was criticised for having been too slow to adapt and, even worse, prone to depression. 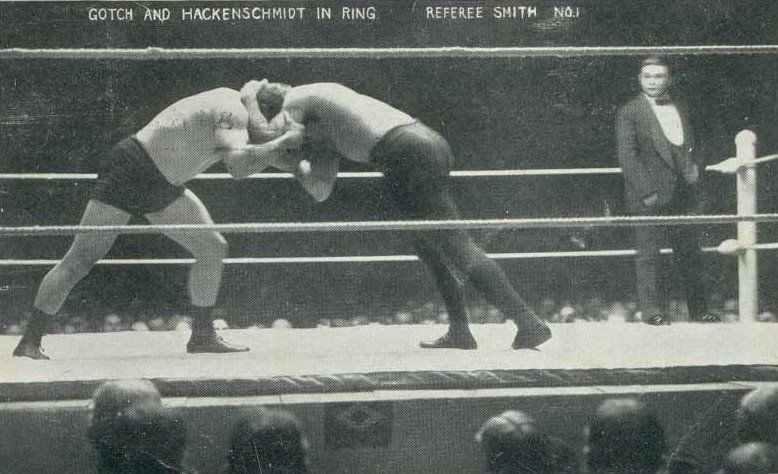 Following the 1911 rematch, Hackenschmidt was blamed of lack of heart. He lost to Gotch and retired the same year. 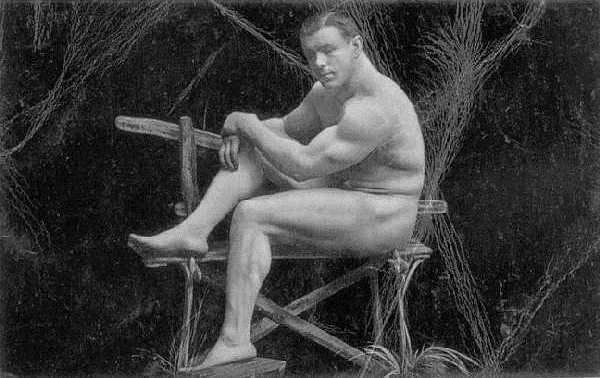 Hackenschmidt went on to write several books on philosophy and physical culture. His circle of friends was remarkable, including people as different as the playwright, George Bernard Shaw, and the famous magician, Harry Houdini. Probably, he was one of the first life style and diet gurus, who claimed that raw food (the high raw diet) may keep us healthy. Among his various tasks were teaching physical education to the members of the House of Lords and serving as a judge at the 1948 Mr Universe contest in London. His contribution to sport psychology cannot be underestimated; in his books and talks on health, fitness and bodybuilding, Hackenschmidt keeps stressing the importance of inner peace, enduring will power and sound mind. 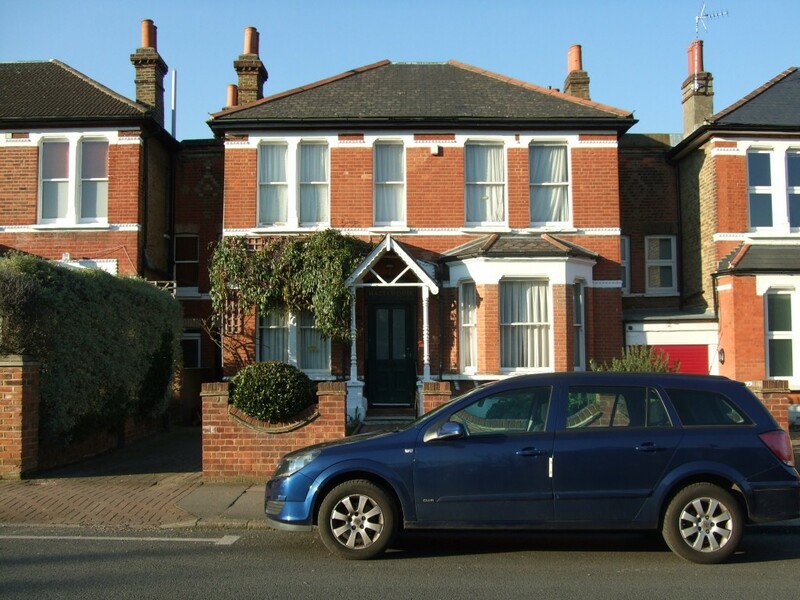 Together with his French wife Rachel, he ended up living in South Norwood, London. 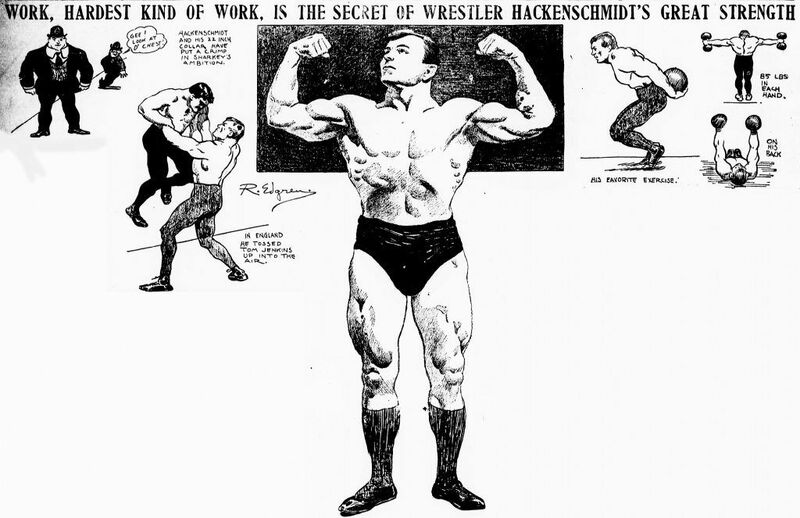 Physically fit even in his old age, Hackenschmidt died on 19 February 1968. The last lines of his book, “The Way to Live”, read: “Throughout my whole career I have never bothered as to whether I was a champion or not a champion. The only title I have desired to be known by is simply my name, George Hackenschmidt.” One loves to think that the Russian Lion is being remembered. Cover: George Hackenschmidt. Images courtesy of Ann Alari and Wikimedia Commons. Ann Alari is a London-based Estonian journalist, translator and author. She is a member of the Foreign Press Association (London) and the Estonian Writers’ Union.